The beauty and splendor of the most important day in the Christian Calendar can only be celebrated after the horror of Friday. Jesus was beaten, humiliated, forced to drag his instrument of death up a hill, nailed to that Cross, mocked, scorned, and pierced before he died---All For Us. He conquered it all when the stone was rolled away--when the grave was found bare--when he overcame death once and for all. What a glorious day of celebration as we remember Why the world pauses in remembrance of this day. The day when the price was paid to redeem the sin of all mankind. A day like no other which dawned with a promise of an eternity filled with His love. This day--this holiest of days which signaled the birth of the sure hope and certain promise of a better tomorrow. 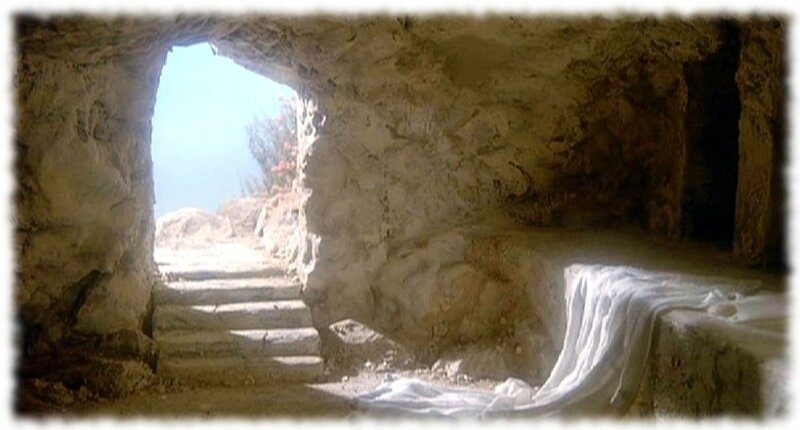 The birds sang in praise and even the rocks bowed in humble adoration that first Easter morning. May we all stop and reflect today on the reason we celebrate on Sunday--the horror that was visited on Friday---leading up to the glory revealed on Sunday. 3 He was despised and rejected by mankind, a man of suffering, and familiar with pain. Like one from whom people hide their faces he was despised, and we held him in low esteem. Thank you Lulu...have a beautiful weekend, friend. Happy Easter to you ' yours, My Friend! Excellent post, Lulu. Thank you most sincerely. Happy Easter to you & Marilyn!